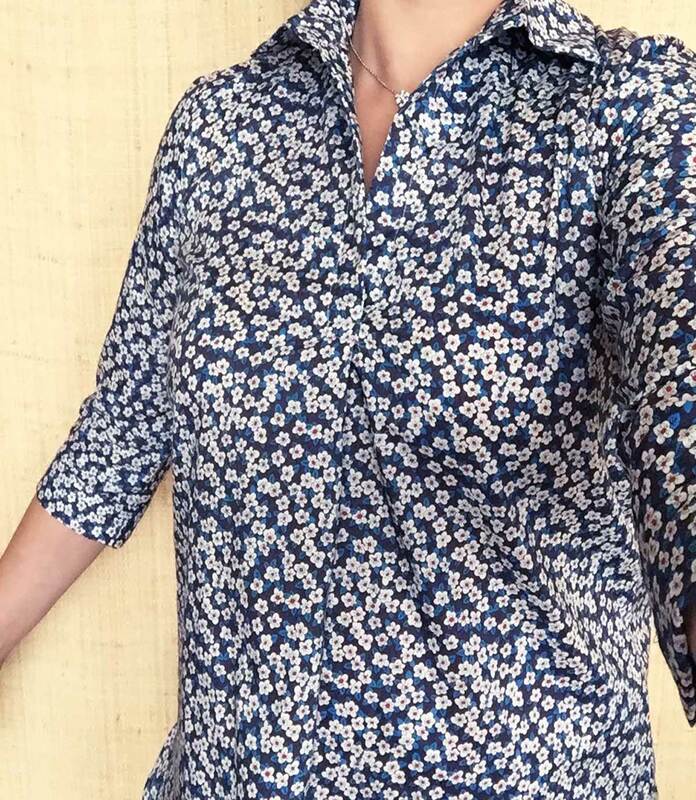 j.crew’s liberty shirts. a few years back, you could say that it was a sort of uniform of mine. the trouble is that while i had a closet full of said shirts, i could never quite find one that fit me properly. it was either too big in some parts or too tight in others. i probably should have purchased 3 shirts in the same pattern and frankenstein-ed them together. 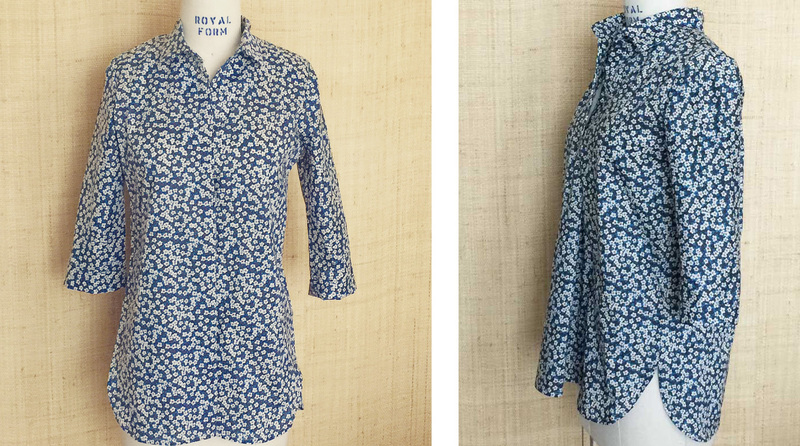 enter liesl+co’s gallery tunic . 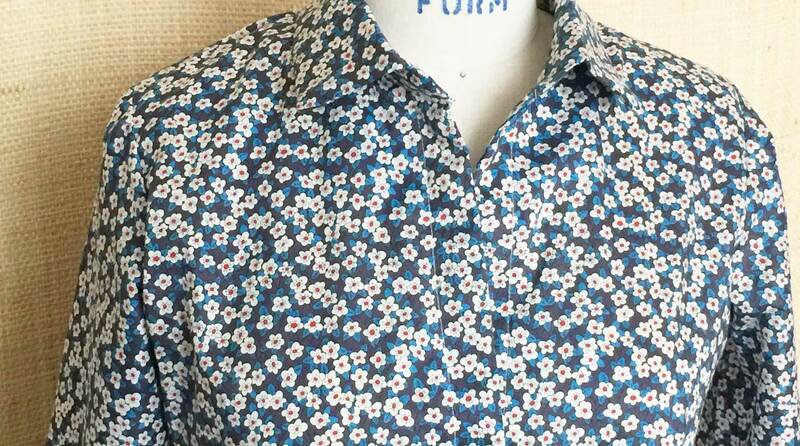 . . a wonderful and easily customizable pattern for realising all my liberty shirt dreams! easy to wear (with plenty of ease) and no buttons! i made no changes to the pattern as written in this version. 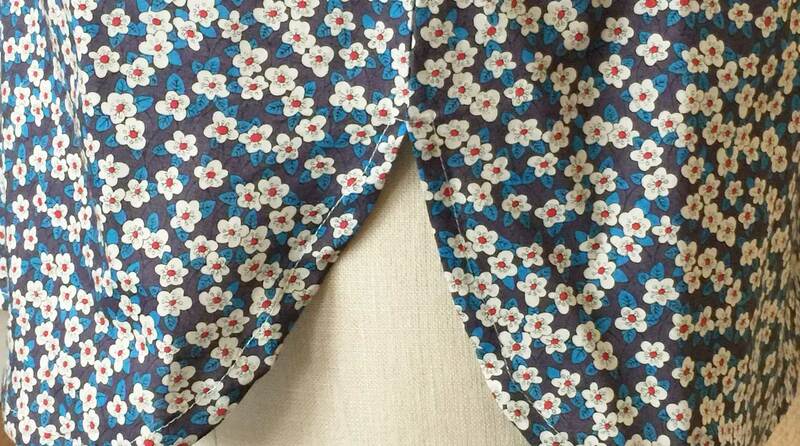 that darling blue floral print you see in the photos is liberty’s tana lawn classic ffion print. (i wondered myself about the meaning of ffion. turns out that it’s a popular welsh female name, meaning foxglove). i’ve already got fabric set aside for the next version. 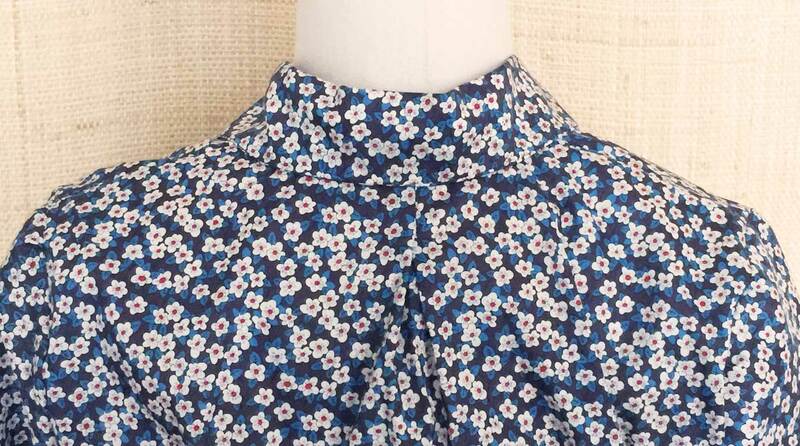 it’s this cheerful liberty nina taylor print — so appropriate for all seasons! i think i’ll try out the mandarin collar option included with the pattern, and also lengthen the sleeves an inch or so (they landed at my elbow joint . . . but then, i think i have longer than average arms). and here it is on me! excuse the awkward pose. . . still haven’t gotten around to getting a tripod or selfie stick.